Provide a safe way to go up and down when rope climbing with fall protection equipment from Seton. Buy ascenders and descenders now and enjoy great deals! Fall protection is a must, especially for workers whose jobs involve rope climbing such as tower maintenance, building painting, or fixing roofs, among others. Fall arrest equipment such as ascenders, descenders, and fall limiters help control how fast a personnel goes up or down the rope. These fall safety tools also prevent slips and falls when a worker unexpectedly loses rope grip. Choose Seton for the best in fall arresters and other safety products. Here at Seton, we know that safety is top priority, which is why we offer quality fall arrester from name brands such as MSA®, Miller® DBI Sala®, and many more. Ascenders help you go up a rope easier and faster. These rope grabs has a mechanical feature that attaches to your climbing rope in one direction but allows free passage in the other, so you can only move in one direction - and that is up. Descenders are used for suspended work positioning, rescue operations, or self evacuation. Rope descenders provide friction on the rope to allow load to descend smoothly and with eases. 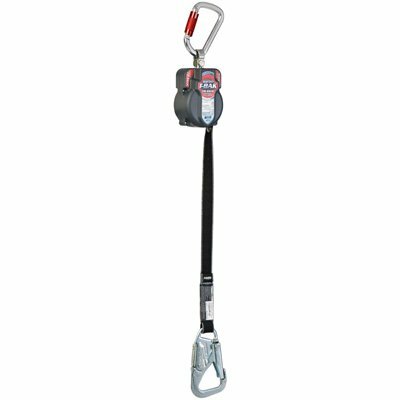 Fall Limiters are self-retracting lifelines or lanyards that features a quick-activating system to help reduce free-fall distance as well as lessen energy loads from a fall. To learn more about our fall protection and other safety products, feel free to check our website.